By Zack Quaintance — It is, perhaps, telling that the majority of picks for our Best Single Comic Book Issues of 2018 list are essentially self-contained. Six, to be exact, with a case to be made that at least one of the others could stand on its own, too. In an industry where many creators put out installments best consumed as part of a collected trade, a truly well-done story with a real beginning, middle, end stands out. At least, that’s definitely what we found this year in evaluating our picks. We’re pretty happy with about it too, in part because it makes re-visiting these issues all the easier. Anyway, the below list contains stories about iconic characters like Wonder Woman, the existential horrors of decisions in life, the writer’s ego, and recovering from trauma. I hope you’ll see some favorites on here and also find new comics, regardless of whether you’re caught up on a book or have plans to continue forward. Let’s check out this year’s list! Why It’s So Good: It’s about the most iconic romance in comics: Clark Kent and Lois Lane. It’s also the first time Bendis gives extended play to the relationship during his current (and excellent) Superman run. What Bendis is doing is breaking down Superman’s central characteristics and building them back up for 2018. That’s definitely what he does here, giving us Lois as an aspiring author and Clark as the supportive (if occasionally long distance) husband. Cards on the table: this whole thing hits close to home with me. My wife is a reporter for the LA Times, and we’ve spent roughly three months total apart due to work in recent years. The reunion in this story felt true-to-life and romantic as all get out. As such, I absolutely loved it. Why It’s So Good: I haven’t said this in a week or so (what with the holidays and all), so I’ll say it now: Tom Taylor is the most underrated writer of corporate superhero comics today. It continues to boggle my mind that neither DC nor Marvel has locked this massive talent up with an exclusive deal and given him the keys to a massive franchise. Not the fourth Spider-Man, third X-Men, or alternate Batman hates Superman comic, but an honest to goodness flagship comic. He really is that good, and comics like Batman Annual #3 show why. This one-off is a stand-alone story that thematically ties to an exploration of fatherhood taking place in the main title, and Taylor absolutely crushes it. There’s a re-telling of the Batman origin through Alfred’s eyes that had me in tears within three pages and an ending that depicts the Alfred-Bruce dynamic in a way that had never occurred to me, suggesting that the stubbornness of Batman’s war on crime is a byproduct of Alfred setting such a noble example of necessary servitude throughout Bruce’s childhood. Put simply, it’s brilliant heartrending stuff. 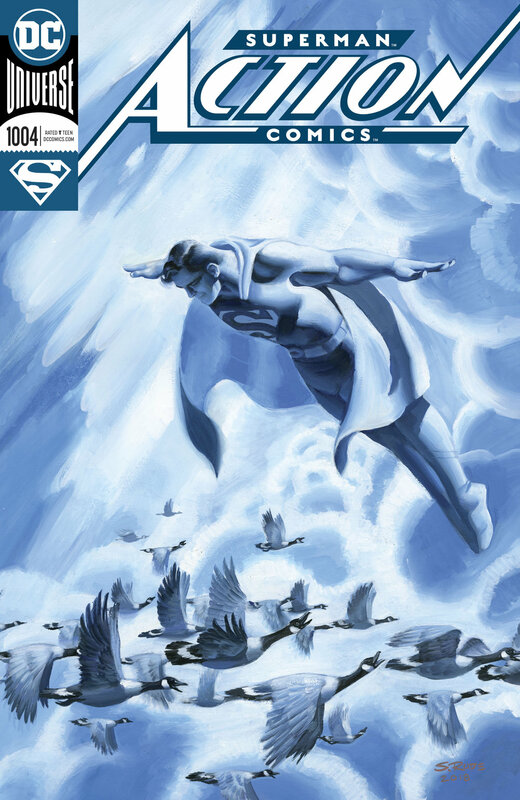 Why It’s So Good: This series is a spiritual and conceptual successor to Busiek’s seminal 2004 Superman: Secret Identity, in that Batman: Creature of the Night essentially tells the Batman story on our Earth, where Batman is a ubiquitous comic book character. Plot-wise, Creature of the Night is a bit trickier than Secret Identity. Superman was easy to get going, because Supes got his powers inadvertently and surprisingly. Batman’s heroics, however, were born of tragedy and an obsessive, steely response. Creature of the Night got the tragedy aspect right from its start, as well as things like the protagonist’s personality and his supporting cast, or at least Alfred. What was missing until now was a believable way to have Batman as a crime fighter. This book gives us that, dark and surprisingly, as it should be. 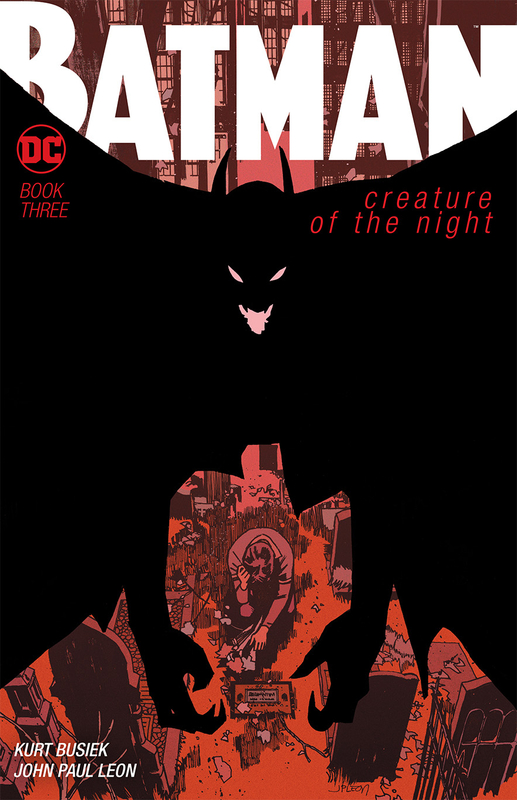 Overall, Creature of the Night is one of the best Batman stories in years, a pure distillation from veteran creators of the lessons learned throughout august careers, specifically Busiek’s penchant for layered and complex stories, the sort more common in award-winning novels than in comics. Why It’s So Good: Simply put, Fearscape #1 was the single best debut issue of a series I read all year. In it, writer Ryan O’Sullivan and artist Andrea Mutti use the graphic sequential medium to create a character and story that basically obsesses over the literary and genre fiction medium, thereby also reflecting back at the audience what it must feel like to be a comic book creator. It’s heady stuff, and it succeeds wildly. Perhaps the greatest strength of this debut issue is the protagonist’s narrative voice, which bounces violently from wild fits of looming ego to sobbingly insecure...as one imagines the creative process for great writers must feel like, oscillating from unchecked creation to solemn revisions. From here, Ice Cream Man #6 splinters into three timelines, and structural comics greatness ensues. Why It’s So Good: This comic somehow tells three self-contained stories in a single issue, doing so with little to no dialogue in a way that not only makes sense but will almost certainly haunt the vast majority of readers for weeks (at least, that’s been my experience). The craft is so impressive that I don’t want to think about it too hard, lest I lose motivation to ever attempt anything creative of my own ever again. Moreover, I have a strong predisposition against stories steeped in cynicism—and this issue is most certainly that—yet this book is so well-done I was able to get past all that. Ice Cream Man was one of 2018’s best explorations of what’s possible with this medium in terms of form and structure, and as such, I can’t recommend it enough. Why It’s So Good: Because nothing will ever be the same. 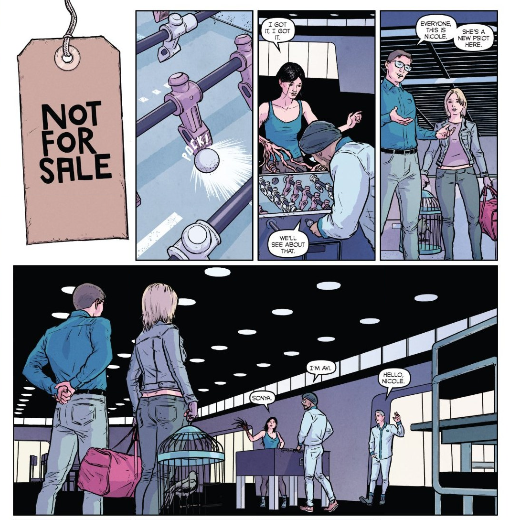 If you’ve read the issue, check out Why Saga #54 Hurts So Bad. If you haven’t, please read the issue and then click that link. There’s just no good way to discuss this without spoilers. Simply put, though, I’ll just note that this is the most consequential issue yet in the best series in comics (as well as our Top Comic of 2018). Why It’s So Good: Secret Weapons: Owen’s Story is a tour de force of narrative craft, a tight balancing act that involves a series of complicated decisions (all of which have an emotional charge) that add up to a satisfying climax. It plays with structure and form while never losing the rightful focus on the characters at its core. The titular Owen is a Psiot who manifests seemingly-random objects, and his story here consists of vignettes based on objects he’s selling at a yard sale, objects he manifested, objects with stories telling us more about our characters. The concept is risky, but writer Eric Heisserer and the team of Raul Allen and Patricia Martin (one of the best art duos in all of comics) handle it supremely well, creating the type of book that reminds you why having a publisher like Valiant is such a benefit for the industry. Why It’s So Good: I wrote about this a bit in our Top Comics of 2018 list, but The Seeds second issue was so good that it elevated this book as a concept in my head, ultimately landing it (despite publishing a scant two issues last year) among my annual favorites. I found the first issue filled with promise, heavy with intriguing concepts. I wondered, however, how thoughtful the title was and worried a bit that the power would be lost if it wasn’t connected to great meaning. Those worries were dispelled and then some in a second issue that showed this book to be among the deepest near-future disaster concepts in stories today (and there are a ton of near future disaster concepts in stories today). Why It’s So Good: Writer Leah Williams and artist Filipe Andrade use the What If? concept to tell a story that sees the X-Men’s Magik tapped to be Doctor Strange’s replacement as sorcerer supreme. Her history, however, is the same: as a young girl she was kidnapped and taken to hell. To be sure, this is not handled lightly in the normal X-titles, but it also, to my knowledge, has never been extrapolated to a serious place where it reads like the supremely traumatic incident it would logically be. The villain in this story is Magik’s demonic kidnapper, cast as a manipulative human trafficker. 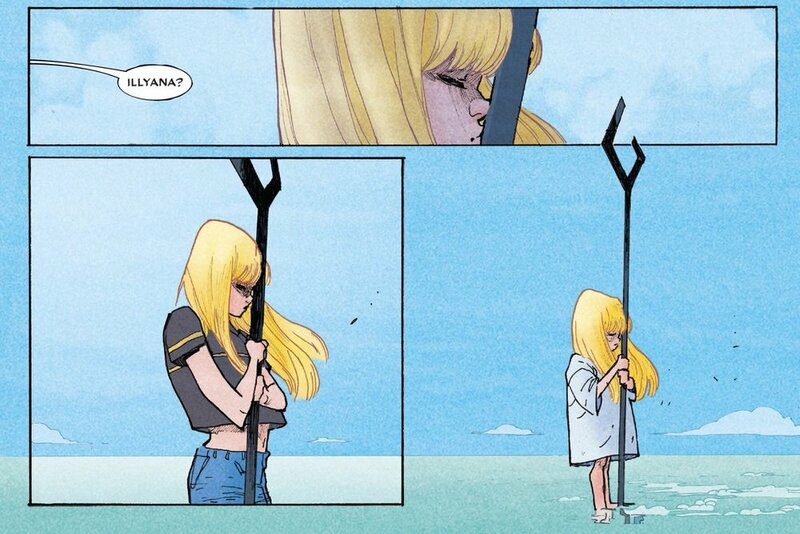 This issue takes the character through a gauntlet of physical, mystical, and psychological tests, never discounting her trauma as the creative team shows us the Magik’s full strength, her stubborn optimism, her refusal to let a past ordeal limit or define her. That hard work and optimism (complete with expected setbacks) makes for a truly beautiful comic. Why It’s So Good: With Wonder Woman #51, Steve Orlando and Laura Braga tell a stand-alone story with a deep and nuanced understanding of this character, one that shows exactly why she’s been relevant all these years. It’s the type of small-scale story that plays to a hero’s essence, done ad nauseum with Batman and Superman but not nearly as much with Wonder Woman. This comic, however, helps to fix that. It’s just so perfect. Aside from the adept characterization, it features an engaging and emotional narrative that speaks to Diana’s core values. It sounds cliche, but I teared up here at the drama and I smiled at the jokes. This is, to me, an issue we’ll be hearing new creators talk about on podcasts 10 years from now, citing it as an influence for the way they write/think about this character. Check out Best Comics of 2018, #1 - #5, Best Comics of 2018, #16 - #25, and Best Comics of 2018, #6 - #15! And check back later in the week for more year-end lists, including our Top Creators of 2018!